Dissolve the yeast in five tablespoons lukewarm milk. Meanwhile cut the candied fruit into strips. Knead, banging it down on the floured tabletop, to make it soft and pliable. Form the dough into a ring or rosca. Insert the baby figurine. 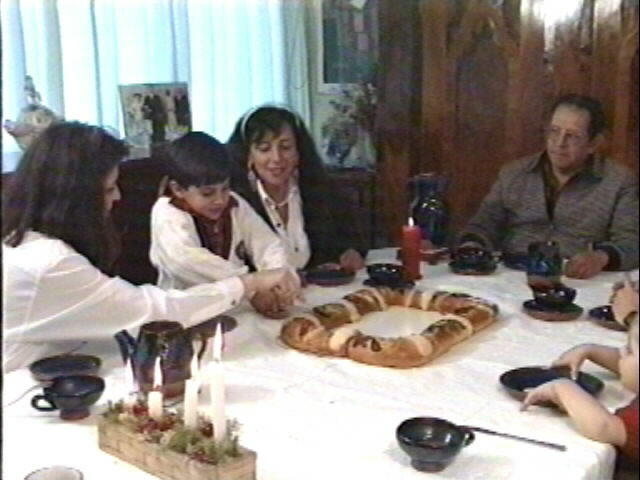 Place the rosca on a greased backing tray. Decorate it with the strips of candied fruit. Leave the rosca once more to fluff up again. 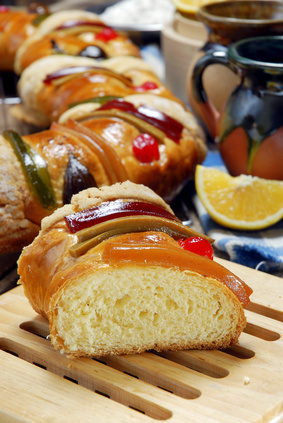 Brush the rosca with the beaten egg and sprinkle over granulated sugar. Bake for 40 minutes at 360° F ( 180°C) in preheated oven.